This site right here is the personal blog for one R4mzy, lurker of the intertubular labyrinths. It serves to broadcast the mutterings of the creature, though by whom and to what end remains unknown. Some hints and clues pointing to the intention of this site have been noticed, with discussion and review of matters surrounding videogaming appearing to play a central theme. Undertones in the works suggest some rumination regarding information technology and communications, along with two-wheeled, motorised transportational mechanisms, and various worldly developments. Okay, in all seriousness, my name is R4mzy (doh! ), I live in South Africa, I work as a network administrator, and this is my personal blog. On it, I write and share all sorts of things to do with videogaming, information and communication technology, motorcycling, assorted world news, and my opinions. Mainly videogame stuff, though, and mainly on PC. Like my own reviews, news from the gaming industry, my thoughts on, err, “stuff” about the gaming industry, et cetera. There’ll also be some wordy things about whatever series or book(s) I find myself enjoying (and perhaps music, too). And probably other, undefined things as yet to be determined. Also ellipses, I like ellipses. 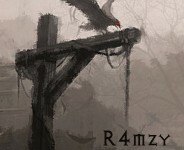 You can find me on Steam as R4mzy, on Twitter as @R4mzyZA (I don’t do much with Twitter though…), and as R4mzy or R4mzyZA pretty much anywhere else.